Blogging has emerged out as an outstanding way of earning online money but not all of them are successful. Out of 10, only 2 bloggers are successful in achieving their goals. It is due to the fact that they do not pay much attention on several key factors that are essential in the blogging process. An expert bloggers knows all the tips and tricks to take his blog to the top notch position. If you are also willing to get successful and start earning from your blog, you need to prevent yourself from doing the popular bloggers mistake. 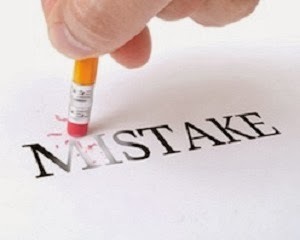 Some of the common mistakes which are mostly done by the bloggers are discussed as follows. You can go through them and overcome the shortcomings so as to become a successful blogger. There are many people who get into the process just for earning money without knowing the motive or purpose of starting the blog. This is a wrong practice as without any goal, you are certainly not going to move in the right direction. So, before starting the blogging process, make sure you know the various aspects of your blog like whether it is informational or not, the target audience, writing purpose etc. if you know the purpose behind creating a blog, you will be able to plan effective strategies and create success plans so that you can bring your blog to the number position on search engines. In order to generate more traffic towards your blog, it is necessary that you update your blog regularly and that too with unique and informative content. Posting on regular basis ensures that your existing readers will visit the blog daily. It is also an effective way to boost the traffic on the site. If you do not post for extended periods, the readers might look for information elsewhere. So, make sure that you keep posting at regular intervals and do keep a check on the quality of articles or information posted. Blogging is an activity that requires hard work and time. You will not start getting huge amounts as a result of blogging in few days or weeks. You will have to be patient and keep posting on the blogs as per the demand of the readers. If you lose your faith and stop posting, you might never achieve your goals. There are many bloggers who just post the contents as their duty and are not interactive with the readers. This might lose the readers’ interest. Hence, you should go through the comments or questions asked by the readers and reply to them. Also, make use of social media networking sites to interact with the readers. Take your blogs to number one position by avoiding the above discussed popular bloggers mistake. This will help you in meeting your blogging goals at the earliest. I enjoy going through such articles. Do you know why? Because, getting to know about the mistakes and trying to avoid it is smarter than learning from mistakes. Well, there's nothing wrong in making mistakes and learning from them. But, my point is to learn from others' mistakes. Talking about your article, I very much agree with the 'patience' factor. Most newbies lack this virtue. They crave for instant success. Upon not getting it, they get disheartened and may even leave blogging. What a situation! 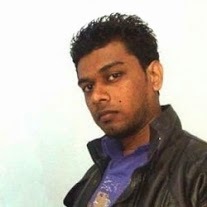 Hi Sohan Jayasinghe. Brother what a great Article. I hope you will b fine and Good. Brother thankx to shairng this article. I aslo mistake in my blog. thankx to helping me.